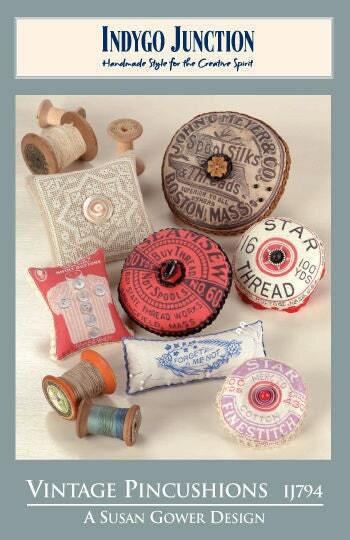 These pincushions are made using downloadable vintage artwork printed onto fabric. They are embellished with vintage lace, buttons and filled with either lavender potpourri or emery. The pattern includes instructions to download two free vintage artwork pieces - the star thread spool and the forget me not image. They were then printed onto Cotton Printable Fabric Sheets using an inkjet printer and assembled following the enclosed instructions. Finished sizes range from 3" - 5 1/2".